Bianca Naturals is reputed to have a commitment in developing beauty products that will defy time. 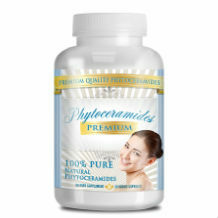 The Phytoceramides by Bianca Naturals is designed to do just that. The ingredients are all natural and are reputed to diminish fine lines and wrinkles. The product improves skin while maintaining a natural glow that is naturally beautiful. Ceramide is a component in our bodies that lessens over time, especially as our bodies age. When it starts to decrease, so does the elasticity and suppleness of our skins. The body starts to have a hard time in retaining moisture and before you know it, the face is filled with fine lines and wrinkles. Phytoceramides replenishes Ceramides that have been lost and helps the skin cells acquire a renewal ability in hydration. The product is supposed to be taken everyday. One capsule per day is enough. However, exercise caution. Always seek professional help when dealing with dosages that have not been prescribed by your physician. There are no side effects indicated for this product. 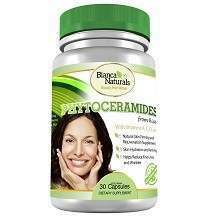 Phytoceramides by Bianca Naturals is sold for fifteen dollars and ninety seven cents on the Amazon Website. There is no other website where you can go and buy the product. There is a hundred percent full refund policy, but it is not well or clearly defined on how you go about it, should you wish to return the product. There are also no phone numbers to ask such questions. The lack of important information is irritating. However, the website Amazon does provide warranties or refunds, so probably the product is covered under Amazon refund policy. This is an assumption, so if you would like to contact Amazon in case of any queries, they have a contact number listed on the website. When a company does not stand by their product directly, it makes one question the authenticity of the product. Bianca Naturals may be what they say it is, but it would be a good idea to be directly involved in inquiries, comments about the product, money back, etc. After all, they are the ones who manufacture it. They know about it more than anybody else. The product is vague in guarantee and offers no contact info in case of anything. There is no mention on what steps you need to take, if you want to return the product. The various kinds of ingredients in this product cannot be considered all natural. However, it has the required ingredients which have been proven to diminish the signs of aging. On the other hand, it would be a huge plus if the product had the FDA seal of approval behind it.